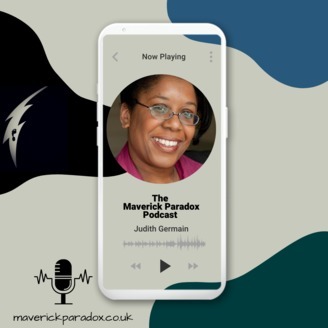 The Maverick Paradox Podcast is a bi weekly show where Judith has lively conversations with her guests. Occasionally there is a short 'Alone with Judith' episode. Judith explores what it is to be a maverick (wilfully independent person) and discovers effective modes of leadership. She would like to inspire you to stand out, be different and lead for the greater good! Her book is The Maverick Paradox: The Secret Power Behind Successful Leadership. Judith's contact details are as follows: Website: maverickparadox.com LinkedIn: https://www.linkedin.com/in/judithgermain/ Facebook: https://www.facebook.com/JudithGermainFanPage Email: Contact @ maverickparadox.com. 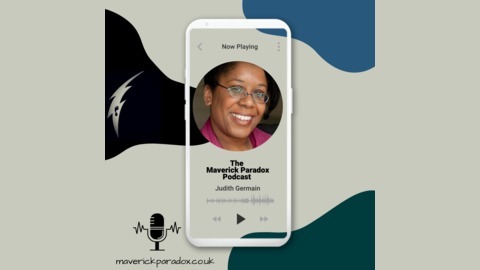 This is an 'Alone with Judith' episode and is the 37th show of The Maverick Paradox Podcast. Today Judith talks about Maverick Leadership, what is a maverick leader? and how empathetic leadership is the new leadership innovation.